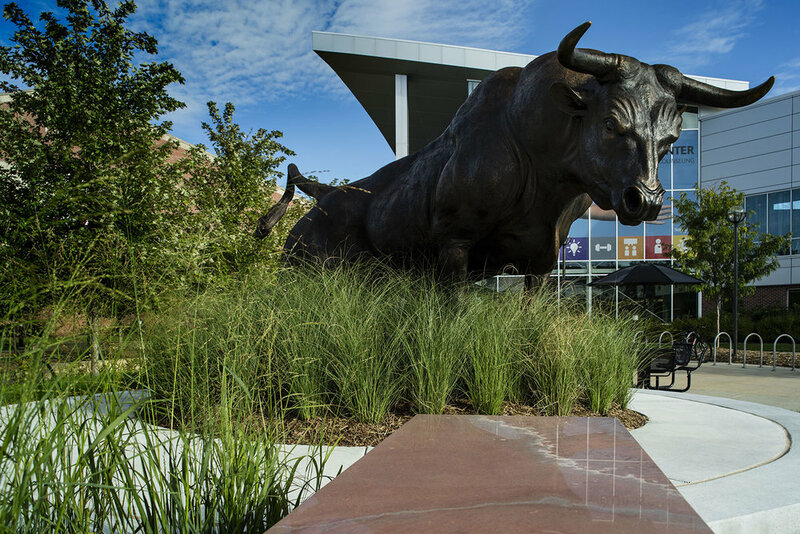 The new Maverick Monument plaza is a focal point of the UNO campus and the permanent home of University of Nebraska system’s first mascot statue, an 8-foot-tall, 1,600-pound bronze Maverick. 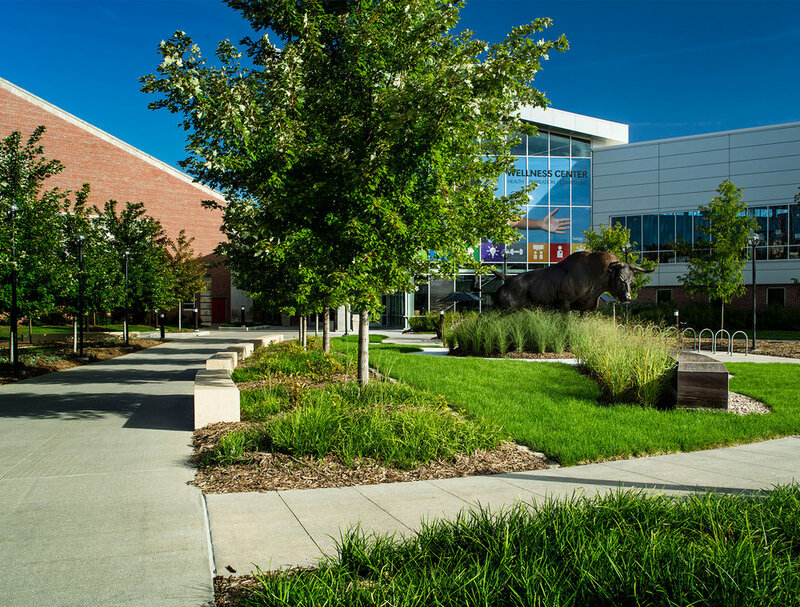 The plaza was designed to be, and has quickly become, an enduring campus icon and is the single most popular spot for campus tours and graduation photos. The design of the plaza also features the monument’s donors and allows the opportunity to solicit and recognize future benefactors.